Due to heavy snowfall, the district administrations of Kullu and Shimla on Sunday declared two days holiday for primary and senior secondary schools in the region. 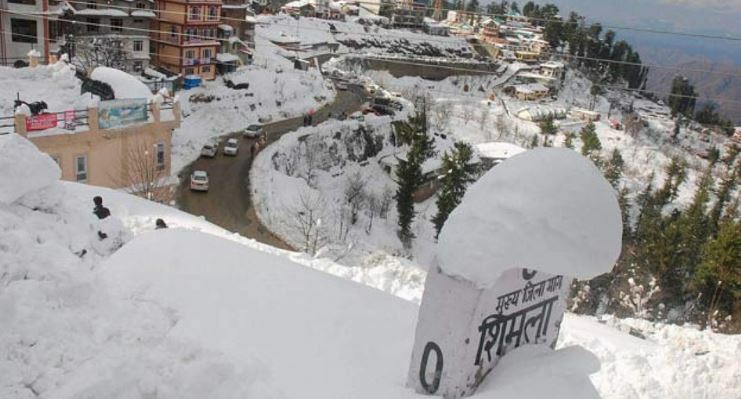 Kullu (Himachal Pradesh): Due to heavy snowfall, the district administrations of Kullu and Shimla on Sunday declared two days holiday for primary and senior secondary schools in the region. According to the authorities, the schools will reopen on February 13. According to the India Meteorological Department (IMD), a fresh western disturbance is likely to affect the western Himalayan region from February 13. The IMD also forecast&nbsp;heavy rain, snow or thunderstorm accompanied with hailstorm at isolated places in Himachal Pradesh and Jammu and Kashmir.